The 2014 Nissan Juke is hard to peg. It's part compact crossover SUV, part go-kart and part economy car. Its styling definitely falls into the love-it-or-leave-it category, but given its popularity we'd say most people love it. With trims ranging from basic transport to sporty Nismo trim, the Juke's multiple personalities are likely the reason for its success. I love my juke, there are just some helpful details you'll need to know. I have never had an issue with performance especially in the harsh winters in Minnesota. There is a sort of blind spot on the Edge of the windshield though with a large piece of the car blocking my vision. This is something I just had to get used to in order to get the hang of the juke. I also think that I have had to get an oil change more frequently than any other vehicle I have had in my household before. I am not sure if that has something to do with this exact make and model or not though. I absolutely love the way the car accelerates also, however it truly feels like you are going slower than you are because it is just so smooth. This is something to be cautious of because on the highway I have been going several miles faster than what I would have guessed. Once again, this is just something to get used to. While on this topic, there is another weird flaw where the steering wheel completely blocks my vision of the speedometer and other features on the dashboard. Once again, this is just something I had gotten used to. Overall, I adore my juke. Great vehicle and the price fit my budget. I have no problems with this car. It has turbo engine, however I get good gas mileage. With this engine when I want to pass someone I am able to. The only problem I have with vehicle is phone charger. Does not work unless car is turned on. My car is very comfortably, the seats adjust great. Other than maintenance, such as. New batteries, tires, oil change and fluids in reservoir as needed. Its four door but looks like a two door. Love that look. I love the attention I get while driving my car, everybody wants to know kind of car it is. All in all great vehicle. One thing people should know about the Nissan Juke is that it's great on gas. I like my Nissan JUke because it has been very reliable with no issues. It has a 4 wheel drive option which is great for Pittsburgh winters. My Juke is also good on gas. I get about 26 miles per gallon of gas. The Juke is a very fun and easy car to drive. It has plenty of power and very agile. I enjoy having a sunroof, an upgraded stereo system and a navigation system. 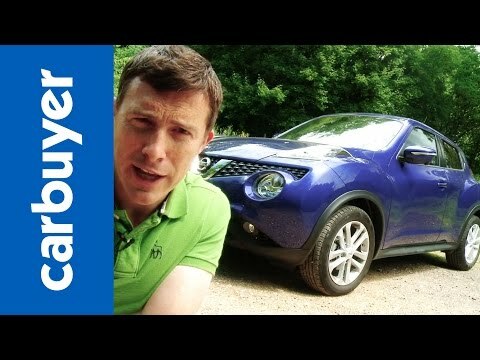 I would recommend the Nissan Juke to anyone looking for a crossover style car. 2014 Nissan Juke Turbo AWD Review : The Ultimate Factory Sleeper? Nissan North America, Inc. (Nissan) is recalling certain model year 2012-2014 Nissan Juke, 2012-2013 INFINITI M56, QX56, and 2014-2015 INFINITI Q70 (V8 engine vehicles only), and QX80 vehicles. The fuel pressure sensors may not have been sufficiently tightened during production. As a result, the fuel pressure sensor may loosen with vehicle usage and cause a fuel leak. Nissan will notify owners, and dealers will re-torque the fuel pressure sensors free of charge. The recall began on January 25, 2015. Owners may contact Nissan customer service at 1-800-647-7261.